In their aim to promote the internationalisation of businesses and the development of new products and services related to knowledge and innovation, European public institutions have advantageous funding mechanisms available to them. However, strong competition and the credit crunch often necessitate a search for increasingly complex financing schemes, including mixed financing sources. European companies, on their route to the market and searching for successful business models, may choose any one of the funding schemes offered by the European Union or an optimal combination of several types of funding such as outright grants, guarantees and/or loans from international organisations, which can depend on how well they meet specific criteria related to the environment, or energy efficiency, or whether they are in a depressed region or in area at risk of poverty, rather than purely commercial criteria. Qi Europe also offers advice in relation to access to venture capital. All this with the aim of supporting its clients through each of the phases that often hamper international competition within Europe or with countries such as the USA, Japan or China. The main funding programmes of the European Commission for R&D&I are currently Horizon 2020, Cosme and Life. Their entry into force has marked a turning point by emphasing the added value that the technology must bring: its Impact. Any proposal should prioritise this aspect in all of its phases. The European Commission has a need for numerous technical services for consulting, assessment and implementation of projects which are not strictly R&D but which have a large component of innovation and efficiency. These serve to support procurement policies and objectives set by the European Parliament. Many of these tenders may be part of your portfolio. To do so, it publishes a public tender for a specific project, and participants present their proposals to develop the project for the European Commission or in countries with which the EU has partnership agreements. As in the case of the above programmes, the applicant must prepare a proposal and meet a number of strict requirements, both in substance and in form, to be selected. The very high demand and the strict requirements of the above schemes mean that very few companies or consortia are selected, and even fewer are finally funded. Even those who obtain funding often need to apply for a loan to meet all their needs for credit. In other cases, the proposed technological development is sufficiently developed to be offered for implementation in geographical areas in need of aid or reconstruction and thus support progress or recovery in developing countries or regions. In addition to the region to which they are assigned, all the institutions have their own priorities when deciding on which type of research project to support. In this regard, organisations such as the European Investment Bank, the Inter-American Development Bank, the European Bank for Reconstruction and Development and the World Bank all use the services of Qi Europe. To obtain one of these loans the applicant must submit a full proposal for project finance in which the project feasibility is demonstrated and its solvency is guaranteed. 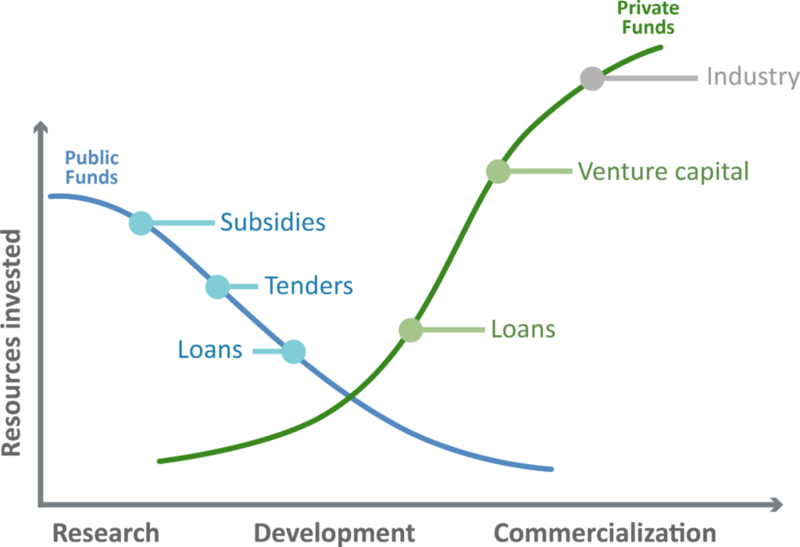 Many corporations, companies and organisations involved in research projects consider venture capital as an alternative to loans and subventions, but it sometimes also serves as a complementary measure or can be more appropriate depending on the state of development of the project. Venture capital companies usually impose particular conditions before investing in a project such as the acquisition of a major or minor part of the company, a minimum or maximum volume of investment, a particular sector, etc despite which there is strong competition for their services. These companies receive dozens of proposals every day, which go to the most appropriate investor in each case and so it is necessary to submit a proposal in which the technological advances and the financial value proposition are critical to success.